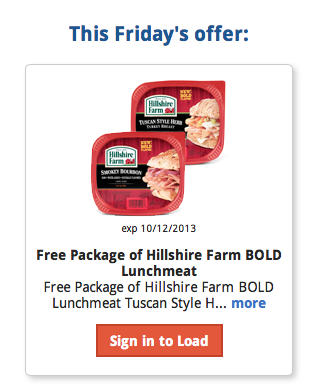 FREE Hillshire Farm BOLD Lunchmeat! You are here: Home / freebies / FREE Hillshire Farm BOLD Lunchmeat! Today’s Kroger FREE Friday Download is AWESOME! You can get a Free Package of Hillshire Farm Bold Lunchmeat! These are usually $3 to $4! 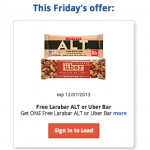 This freebie must be loaded to your Kroger Plus card TODAY! You can use it through 10/12/13. Click on the links above and load this freebie to your card! When you purchase this product at your local Kroger store, the total will be deducted at check-out! 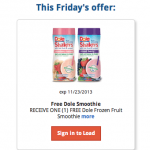 Kroger Freebie Friday Download: FREE Dole Fruit Smoothies! 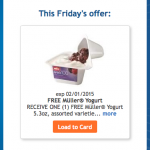 Kroger FREE Friday Download: Mueller’s Yogurt! 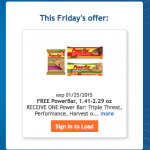 Kroger Free Friday: FREE PowerBar!